I’m not really a fan of the truism “nothing new under the sun” (one example being that there was no book about artist statements until I wrote it). It’s pretty easy to deride Artist Statements. I’ve done it myself countless times. I find it hard to resist when I come across a pompous, self-congratulatory, or badly written and trite statement that is secretly worried the viewer isn’t going to find the art (and by implication, the artist) credible enough, or worthy enough, or valued enough that the statement ends up undoing the very thing it’s supposed to do. …which brings me back to social media. The social media revolution upended professionalism, as it had been taught and practiced for decades, and replaced the traditional front of competence-at-all costs, and me-thinks-thou- protesteth-too-much confidence of neck ties and knee-length dark skirts and endless smiles and handshakes with the awareness that we might are more inclined to buy once we know the person behind the sale is a person, more or less like us. 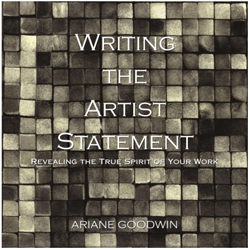 Revealing engaging truths (what I call the professionally personal) about you—what it’s like to be an artist, to make the art you do, inviting your viewer to peek over your shoulder—this engenders connection and builds a layer of trust like nothing else. That’s what most of us want anyway: connection. Which is why the Information Highway has become a footpath and Social Media has us all in the fast lane. Only… long before Twitter and Facebook, you had…artist statements. Both play the same edge of personal mixed with professional, and like that infamous bowl of porridge, the tweet or post or statement has to be not too hot (personal), not too cold (professional), but just right. To be effective, both have to be more invested in the audience they’re engaging than any narcissistic rush. An artist statement, like social media, connects your audience to the “you” behind the art, or behind the tweet/post. And both artist statements and social media do better when the “you” reveals authenticity and personality, someone you’d like to get to know. Practice this for 3 weeks and I guarantee that you will discover a whole you that’s just been waiting for the pressure cooker of the artist statement, or daily blog posts, or tweets, to come out! What happens to you as you paint, or sculpt, or pot, or make tapestries or jewelry? Keep a notebook by your side as you work and tune in to those fleeting thoughts that you tend to dismiss, jot them down – key words, fragments, anything that can bring the whole thought back later on. 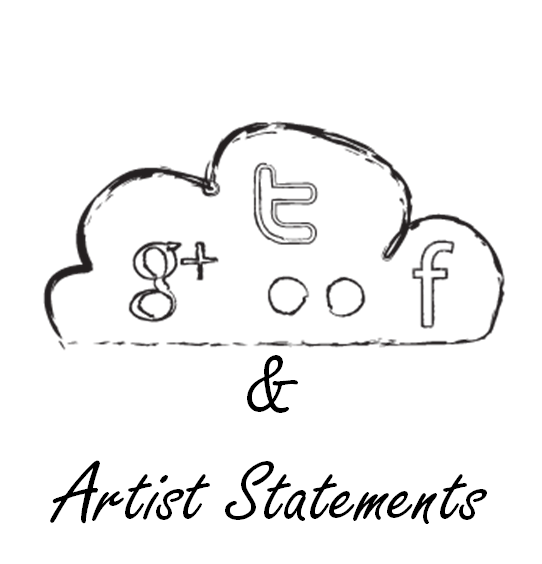 A lot of artists have asked me, over the years, for examples of good artist statements. Usually I hesitate to offer a statement that might interfere, subliminally, with an artist’s authentic voice before they’ve had a chance to exercise that voice in their own statement. However, I do think reviewing a statement that’s already been written, but has some troubled areas, will give artists the best sense of the process that can give you a compelling statement that honors you and your work. 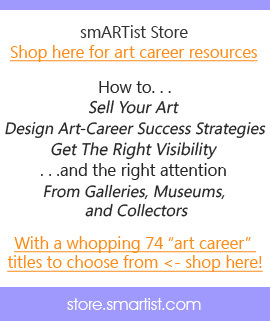 CLICK HERE to join me tomorrow for a live call as I go over 2 artist statements with the artists. I’ll open up the line so you can ask questions. Sorry I couldn’t make it to the live call. Are you going to have a recording available? If you sign up for anything I offer, Kate m’ good woman, I will 99% of the time also have a recording, which i believe you meant for the Artist Statement Review, yes?